When I first saw the “Keep Calm and Carry On” posters, with the dignified print on the red background with the image of the crown above, they struck me as quaint indicators of English nostalgia. The posters seemed to represent a memory of the narrative of the war and the need – and ability – to persevere with resolve and dignity. Reproduced in contemporary culture the poster seemed a funny and ironic commentary on the stresses of modern life – of overworked multitasking. It is in this context that I saw reproductions of the poster showing up (including the one on the coffee mug I gave to my wife). Soon after came the memes, everything from “Keep Calm and Shut Up” to “Keep Calm and Drink British Wine.” It was one of those participatory texts that, quite frankly, wore thin rather quickly and I stopped paying much attention to it. Last week, I saw several reproductions of the poster. This time they were on the walls and mugs of the offices and shops of people living in Beirut. There were no memes. The words were the original: “Keep Calm and Carry On.” During the same days I was in Beirut, there was fighting – and dying – up the road in Tripoli, there were rockets fired into a Hezbollah neighborhood in the south of the city, and the war raging in Syria seemed ominously close. Yet, at the same time, people were sitting in cafes, visiting art galleries, walking along the Corniche beside the Mediterranean, laughing with their families. Yet, at the same time, they would occasionally look over their shoulders, or pause in their conversations, and wonder what might happen next, or remember the small seed of anxiety in their stomachs. Yet, at the same time, they would walk by buildings still riddled with bullets from the last war that stood next to shining new apartment buildings built in the last year. Yet, at the same time, soldiers stood on street corners holding AK-47s. Yet, at the same time, people – including me – went to work, went to dinner, went to bed. 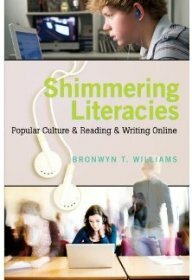 I usually like to write about issues of literacy and such on this blog. And, I suppose if there is a connection to literacy here it might have something to do with contexts and audience and emotion. Maybe all of that is there and maybe I will write about it at some point – I certainly have more to write about the trip to Beirut. But today I’m just thinking of that poster, those words, and a place I am so fond of, a place of dear friends, where I hope things will keep calm. And carry on.